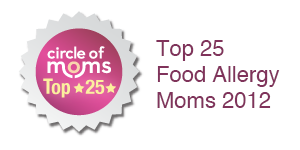 The Nut-Free Mom Blog: Food Allergy Resources Make Great Holiday Gifts! Food Allergy Resources Make Great Holiday Gifts! 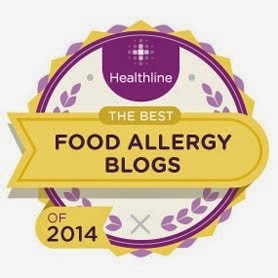 For those of you looking for holiday gifts for the allergic people in your life, (or if you would like to drop a few hints for your spouse or family), here's a short list of some of the best food allergy books/magazines out there. I've had the pleasure of meeting all of the authors below, either in person or online, and I can tell you that they are completely devoted to helping food-allergic people and their families enjoy a better quality of life. The Food Allergy Mama's Baking Book by Kelly Rudnicki. Just awesome. Kelly provides delicious recipes for things like apple doughnuts, birthday cakes and a myriad of cookies and quick breads that are egg-free, dairy-free and nut-free. If you ever thought it was impossible to bake without eggs, dairy or nuts, Kelly will set you straight! Your kids will be the envy of their friends with these yummy treats. Full-color photos accompany each recipe. You also get to see Kelly's cute kids hard at work baking! You will love this book! Check Kelly's website to order. I've also found this book available at my local Borders book store. The Allergen-Free Baker's Handbook by Cybele Pascal. Martha Stewart featured this book as one of the best baking books out there and once you flip through it you will see why. This book is so gorgeous and filled with delicious-looking photos that make you want to roll your sleeves up and get baking. Cybele offers dozens of recipes free of all top 8 food allergens and gluten. A simply beautiful book! You can visit Cybele's website to order or visit your local bookstore. I got mine at Borders! Food Allergy Books by Linda Coss. Linda Coss is a pioneer of food allergy parenting and cooking. She has wonderful cookbooks as well as a book of advice on how to live with food allergies. 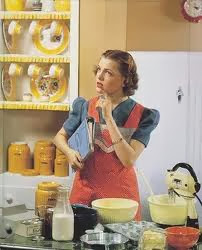 Her cookbooks are also free of dairy, egg, peanut and tree nut and she has some really awesome family-friendly meals. Don't miss her books! You can order them by visiting her website. Enjoy Life Foods: Cupcakes and Sweet Treats for Everyone! and Enjoy Life Foods: Cookies for Everyone! Enjoy Life Foods offers great baking ingredients free of the top 8 allergens and then some. They bring their delicious approach to allergy-friendly eating to you with two beautiful books that will solve your allergy-free baking problems. I've found these at my local bookstore but you can order them from their web site, too. Allergic Living magazine. I highly recommend a subscription to this amazing lifestyle guide. Besides tackling food allergies with wit, wisdom and tons of practical advice, editor Gwen Smith and her talented team also address seasonal and environmental allergies. Published 6 times a year, you will wonder how you ever got along without Allergic Living. Visit the website for subscription details. I hope you'll check out each of the resources above. And thanks to the talented people behind them. You make a difference! Thanks for yet another comforting, inspiring post. I'm actually drafting a post for the SunButter blog on successfully, SAFELY navigating the holidays with food allergies. Mind if I link back to your blog? Full credit to you, of course : )(Actually your blog should be required reading for everyone this time of year.) Let me know. And take care, enjoy the season! Elizabeth, Thank you!!! Of course you can link to my blog. I appreciate your kind words and I am so appreciative of SunButter and your great products. I sent my youngest to school today with a SunButter and jelly--what a great resource for busy parents! Merry Christmas from The Nut-Free Mom! 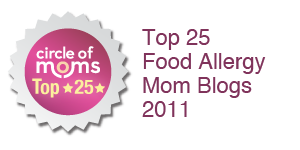 Big Food Allergy News: FAAMA Passed Into Law!! !